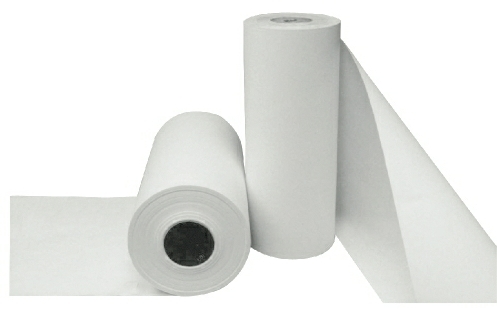 This FDA approved white butcher paper roll is a must-have item for your home or business! Each roll of 40 lb. uncoated, white butcher paper is 24" wide and 700 ft long. Strong. This paper can be used as a fun and affordable table covering as well. Butcher paper table cloths can improve your guests’ dining experience by allowing kids to color or draw right on the table. Makes cleaning up easy, when your guests are done with their meal, simply throw the paper table cloth away! Easy place to keep score while playing cards or a game. Butcher paper is also popular for making crafts and protecting tables during various art activities. Butcher paper is not coated with wax or poly film.